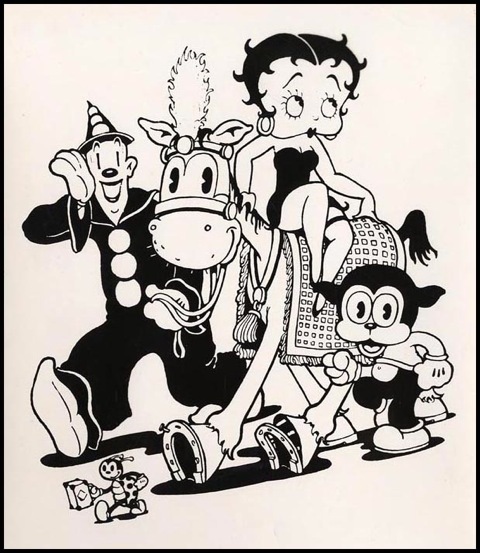 Created in the early 20th century by Max and Dave Fleischer, Fleischer Studios was a pioneer in the art and craft of animation, responsible for creating and animating some of the most beloved characters in American animation — including Betty Boop and Koko the Clown. The studio was also renowned for its animation of two extremely popular comic-strip characters: ﻿Popeye﻿ (originally created by Elzie Segar) and Superman (originally created by Jerry Siegel and Joe Shuster). The artists of Fleischer Studios were not only animators, they were innovators as well. Known for their ground-breaking marriage of live action with animation, their ingenious “bouncing ball” cartoons, their gritty, urban and often surreal landscapes, their jazz cartoons featuring early film footage of the era’s popular artists including the very first film footage of Cab Calloway, and many inventions including Max’s rotoscope and “set-back” process, the influence of Fleischer Studios can be seen today in everything from music videos to karaoke to Japanese animé. Today, Max’s grandson, Mark Fleischer, serves as Chairman and CEO of Fleischer Studios. An entertainment executive and attorney, Mark has been responsible for overseeing the ushering of Betty Boop and all the Fleischer characters into the 21st century. As part of the development of new and exciting opportunities around the globe including media, merchandising and more, Mark works in close partnership with King Features Syndicate, a unit of Hearst Corporation, which acts as the exclusive worldwide licensing agent for all the Fleischer characters. Stanley Handman, who is a shareholder and the Corporate Secretary. An instrumental part of Fleischer Studios since 1956, Stanley has served as long-time legal counsel and close advisor to the Fleischer family, having personally represented Max as long ago as 1956. Max’s granddaughter, Ginny Mahoney, Corporate VP of Fleischer Studios, brings a career developing and designing exhibits with the Smithsonian Institution to her work with Fleischer Studios. She serves as head of the Social Media Committee and as the Studio’s chief archivist, Ginny is responsible for collecting, organizing, recording and preserving the physical and intellectual legacy of Fleischer Studios and curating many of the exhibits featured on the Fleischer Studios online museum. Max's great granddaughter, Jeni Mahoney, a playwright, theater director and artistic director utilizes her narrative and technical skills as FSI's web master and social media associate - creating content, including FSI's collection of Facebook shorts and Fleischer Flix. Max's granddaughter Jane Reid, an attorney, brings research expertise to the Studio's Filmography project and to her work as a member of FSI's social media Committee. If you are interested in learning more about the history of Fleischer Studios, visit our History Page or read the vivid and engrossing portrait on the life, work and legacy of Max in Out of the Inkwell: Max Fleischer and the Animation Revolution, written by Max's son Richard Fleischer, a prominent motion picture director in his own right and former President and CEO of Fleischer Studios. 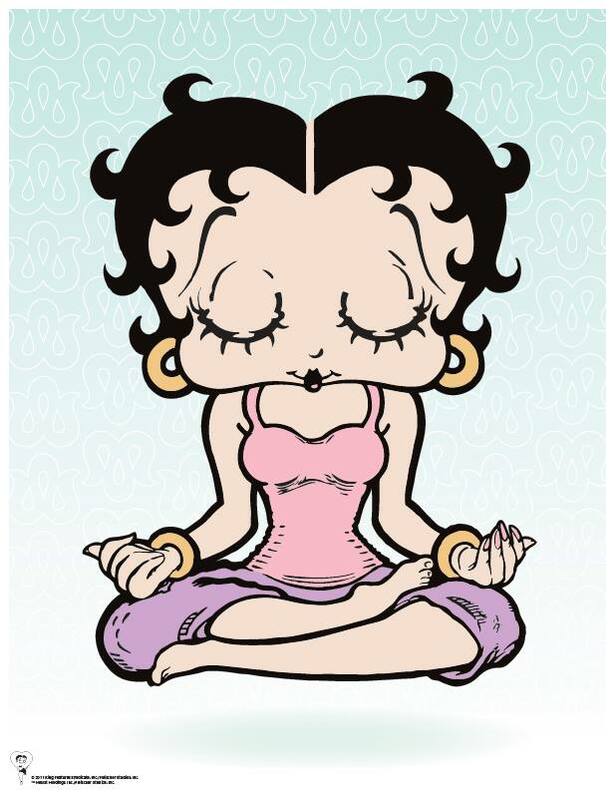 If you are interested in licensing Betty Boop, or any of the Fleischer characters, contact King Features Syndicate. For media requests, interviews, images, clips, or social media inquiries, please contact our Public Relations and Marketing specialist, Kristi Ling Spencer here.